4 on 4 – Mainly focused on Games providers developers manages the hosting services on their own platform. The Island is located in the centre of the Mediterranean Sea with an area of 316 km² and an average population of 423,300. 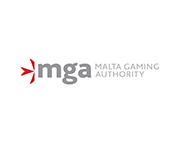 As you know, the MGA has recently carried out a major re-branding exercise which reflects more accurately both the values and boost the vision of gaming in the future. MGA’s Executive Chairman is receiving a Hot50 Award and the launch of GamingMalta. MGA with also deal with the launch of the new Cruise Casino Regulations and the changes to VAT rules introduced in January 2015. MGA blocks several operators licenses due to an Italian police investigation that linked these operators to a Mafia group. Click here to get more information and MGA press release.